Metallic tiles have been used in interior design for years, and are a great way to add a contemporary and luxurious finish to any room. Whether you use a mosaic or a regular ceramic tile, the metallic look can turn any floor or wall into a work of art. What are metallic style tiles? Metallic tiles are wall or floor tiles that are made to look like a metal, such as silver, copper or gold. Porcelanosa have an array of metallic style mosaics, as well as ceramic tiles, that can be used for accent walls, splash-backs and much more. A visit to our Surrey design showroom will enable you to view our extensive Porcelanosa tile gallery which is filled with tiles and mosaics based on the texture or material of metals. Here is a look at just a few of the products we have that will inject beautiful metallic finishes into your floor or wall tile design. 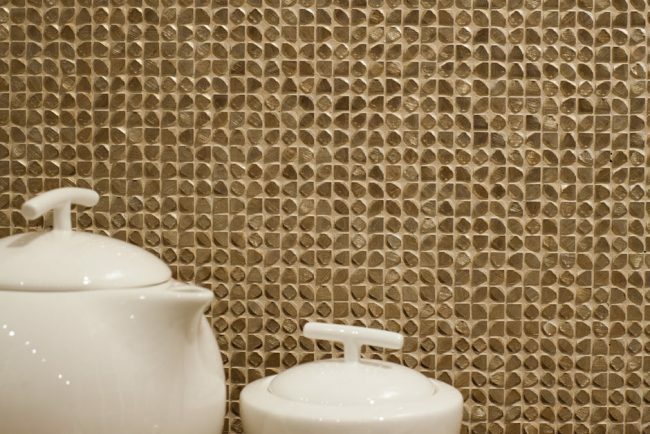 Beautiful mosaic tiles that introduce a beautifully subtle layer of shimmer. Ideal for a kitchen splashback or inside a shower as a feature wall. Stunning one metre length tiles that are perfect for feature panels in your wall designs. They deliver a subtle yet tactile shine that adds a natural elegance to any space. 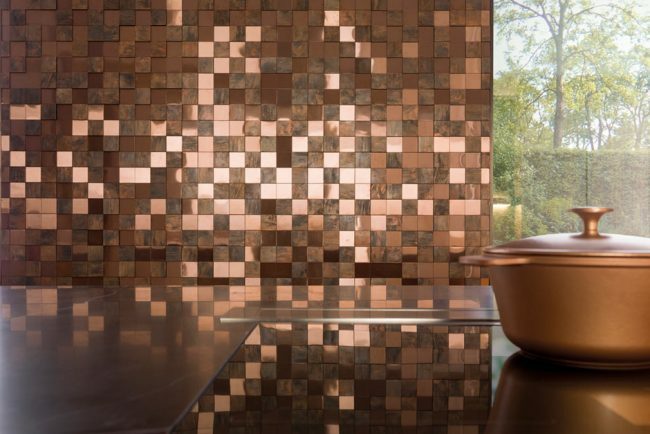 Metal mosaics in 30×30 cm cubes that combine a gloss and matt finish to create accent walls that play with the natural light and bring warm metallic tones to life. 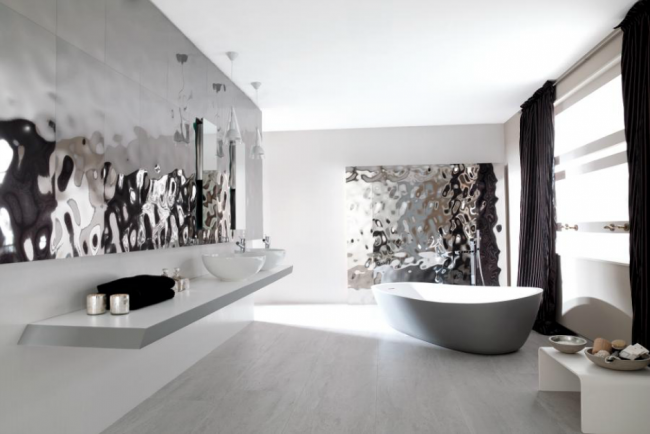 These tiles are perfect to add abstract texture and shimmer in your bathroom design. The ripple effect and shiny metalised finish feels like a glowing waterfall and piece of art on the wall. 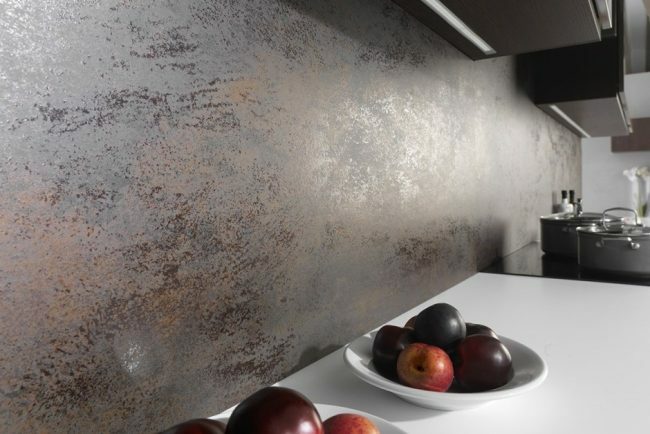 Characterised by its extra-large format and minimum thickness, these tiles are incredibly versatile and deliver a minamilist metallic wash for your walls. They contrast perfectly with contemporary kitchen design. If these designs have left you inspired to inject an element of glamour and intrigue into your tile design using modern metallics visit our Surrey Design Showroom to view the full range of Porcelanosa metallic effect tiles.